Following on from last year’s Series 8 and 9 ULED TV ranges, 2018 is shaping up to be a big year for Hisense. It all starts at this year’s CES in Las Vegas, where the company announced new features, TVs and plans to embrace OLED. “In 2017, we experienced the strongest demand ever in the Australian market for our premium ULED 4K products,” said Andre Iannuzzi, Head of Marketing at Hisense Australia. 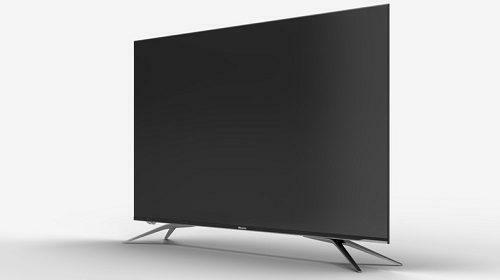 A 75-inch ULED UHD that sits at the top of Hisense’s consumer roster, acting as a natural successor to last year’s H10D. It runs on Android TV and comes ready to deliver 4K quality video content, supporting both HDR10 and Dolby Vision. While it’s not quite OLED, the shift towards Quantum-Dot enhanced picture quality that comes accompanied by a 120Hz refresh rate and just over 1000 fully dimmable zones in its backlight array. Meanwhile, the gear-change to Android TV has also paves the way for intuitive voice control with the H10E coming ready for hands-free use via Google Assistant and Amazon Alexa. Hisense haven’t committed to any timeframe more specific than “2018”. No local pricing has yet been announced. Has Australian availability been confirmed yet? Hisense say that local information will be available in the near future. A ULED UHD LCD LED TV - available in 55-inch sizes and 65-inch sizes - that’s positioned as less-expensive alternative to the H10E. Like the H10E, the H9E Plus runs on Android TV, is capable of delivering Dolby Vision content and can speak to both Google Assistant and Alexa. However, unlike its big brother, it lacks a full-feature array of dimmable zones in its backlight. Instead, it uses Edge-lit local dimming. Likewise, it lacks any Quantum Dot tech but does boast a 120Hz panel. 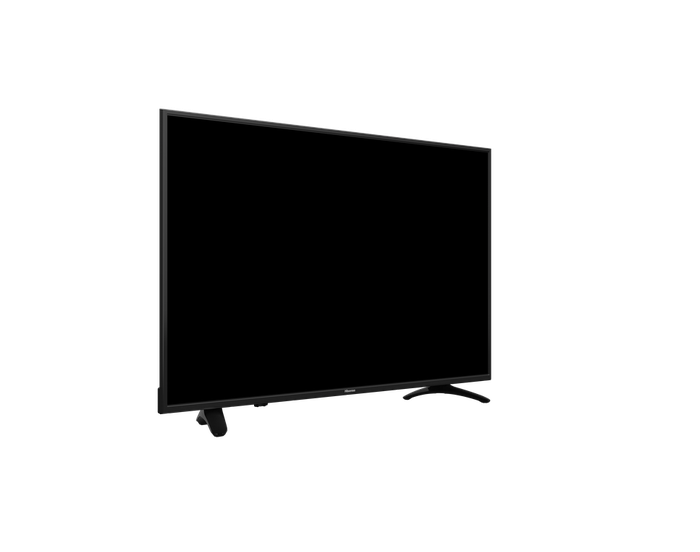 A ULED TV available in 55-inch sizes and 65-inch sizes. It’s got a bezelless 60Hz panel, supports 4K and HDR and wider color gamut content and runs on a newly-upgraded version of Hisense’s VIDAA smart TV interface. Hisense say that the new VIDAA U 2.5 boasts improved boot times and channel switching response, as well as an integrated mobile application (available on both Android and iOS devices) that acts as a virtual on-screen remote to allow easy customisation of favourite Apps, channels and inputs. Although details are light on how it will retail for Australia at this stage, it seems likely that the price-tag will form a big part of the “sell” for the H9E. That said, will still support voice control using Amazon Alexa and Google Home. 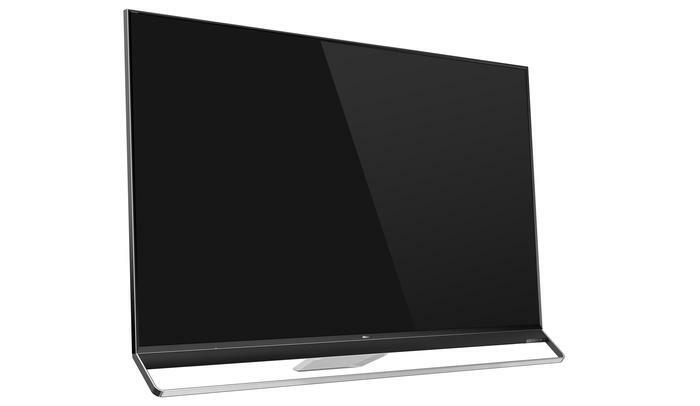 Available in sizes that start at 43-inches and go up to 65-inches, the Hisense H8E is envisioned as the company’s new entry-level model. It touts a full-array local dimming, support for HDR10 content and Alexa voice control. Since it lacks all the bells, whistles and voice assistants found in the rest of Hisense’s 2018 range, the biggest assets for the H8E come in the form of a refreshed design (versus its predecessor) and a presumably low-pricepoint. 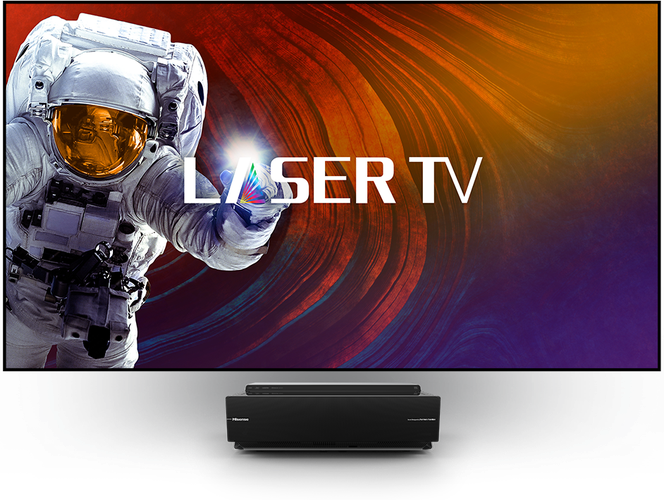 Officially unveiled at last year’s IFA, Hisense also brought their 100-inch Hisense 4K Ultra HD Smart Laser TV to this year’s CES. 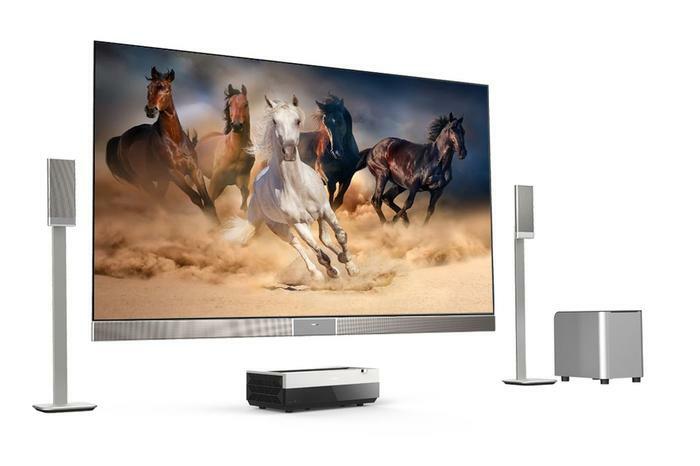 It’s a behemoth of a home entertainment unit based around a short-throw projector, relaying 3,000 lumens of 4K-quality pixels onto a built-in ambient light rejection screen. It supports HDR, 4K and Dolby Vision content and even features a four-speaker built-in Harman/Kardon audio system and wireless subwoofer, promising a seamless audio experience. Hisense haven’t committed to any solid timeframe for when this one will arrive. In the States, this one will retail for $13000. Although details on the TV itself are scant, Hisense have confirmed that they'll be rounding out their lineup with a full blown OLED model sometime in 2018. The move will see them join the likes of Panasonic, LG, TCL and Sony. “Hisense aims to provide our customers with the latest technologies and the introduction of OLED in our TV lineup is yet another example of how we are responding to consumer demand by offering a choice of both leading technologies,” Iannuzzi added. For the full run-down on everything that happened at this year's CES in Las Vegas, click here. Disclosure - Our coverage of CES 2018 was sponsored by Intel, Belkin and Alcatel - who collectively covered the cost of our flights and accommodation.